​I think music is an essential part of life. It is universal and soothing to the soul. I LOVE the sound of classical music. I want my children in Detroit Youth Volume to help them have structure and discipline. Also to keep them active in different things. I love when my children have the opportunity to enjoy what they've worked hard for during a special performance. I think every child should at least be exposed to and have a chance to know music and choose what they like. 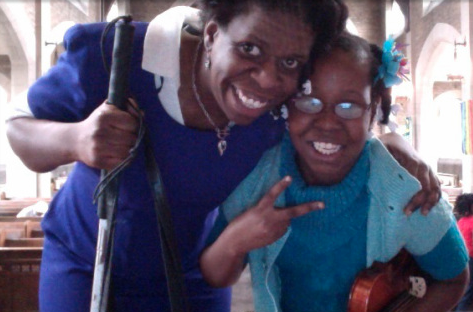 I want to provide musical culture to my granddaughter's education. When my children practice, I enjoy the blessing of watching them experience something that I didn't. Music is the way of life. to stay strong no matter what.